DonQui is rather fond of ice cream, especially coffee flavour. 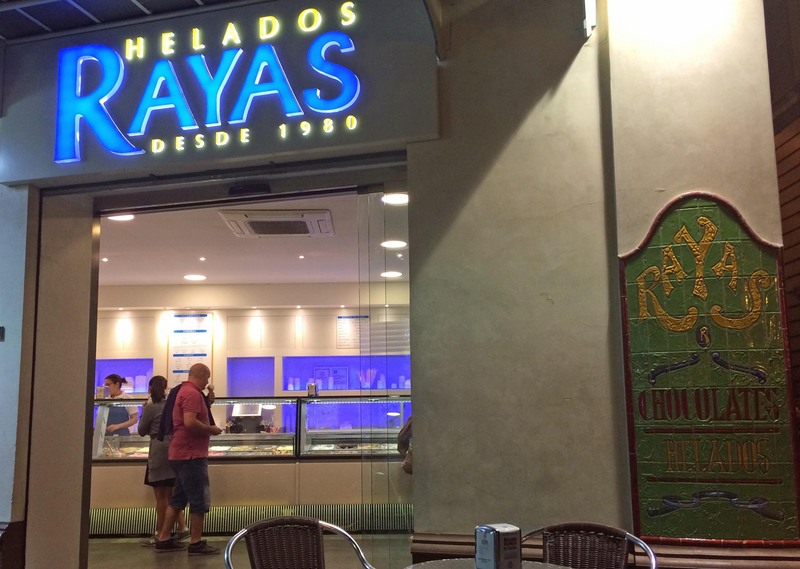 Imagine his delight when he found Rayas (Calle Almirante Apodaca, 1, Seville) open until midnight. And most excellent ice cream it was too — amongst the best he had ever tasted. Some time ago an Italian gave DonQui a tip. If you want to know if the ice cream on sale is made with all natural ingredients have a look to see if they have banana flavour. 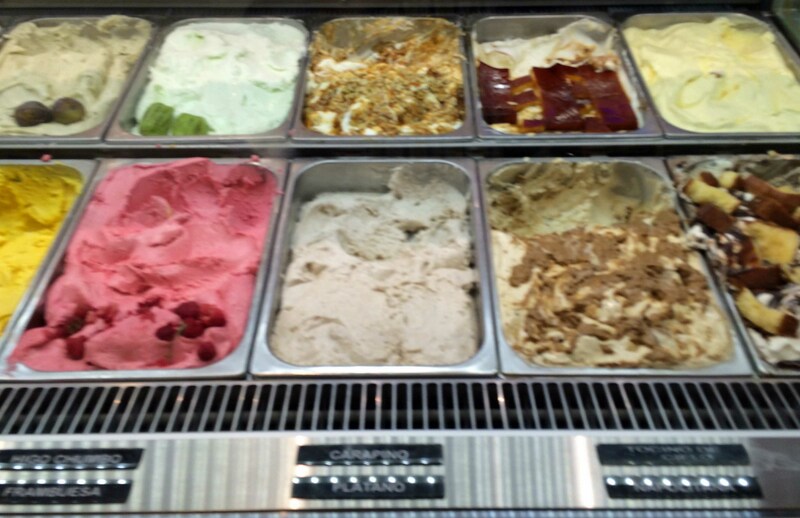 It the banana ice cream is grey then it is made with real fruit as banana turns grey when oxidised. If the banana ice cream is yellow then it is made with artificial ingredients or preservatives and it is a safe bet that the same is true for other flavours. Sure enough Rayas’ banana (platano in Spanish – front and centre) is grey and therefore DonQui knew that they used natural, fresh ingredients. While on the subject of bananas, if you peel and cut them up for later use, a bit of lemon juice will prevent them from turning grey. The same applies for other fruits like pears and apples. What a lovely idea to have ice-cream at midnight! Rayas is my absolute favorite! I miss it!